75% of the event is already booked! 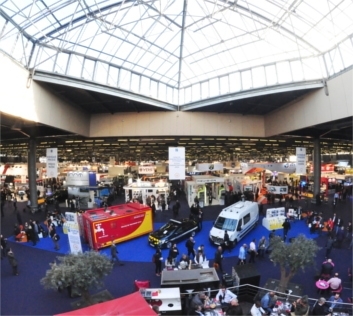 Do not delay in booking your stand at Milipol Paris, which will take place from 19 to 22 November 2019. The Platinum zone is closed since June 2018, and only few stands remain available in the GOLD Zone! 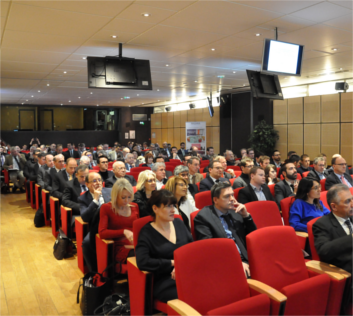 The 6th session of the "Jeudi de la sécurité", the must-attend meeting which gathers the best security players, has been held on the 5 July 2018 at MEDEF headquarters on "Towards a cyber-resilience of companies and the State: actions & levers". 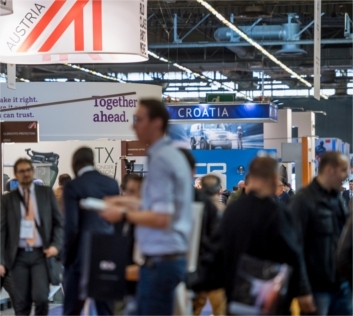 Companies interested in exhibiting at the 21th edition of Milipol Paris, from 19 to 22 November 2019, can now book their stand online. 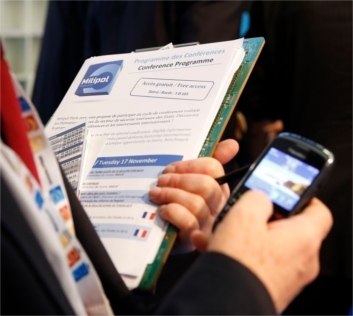 Find details of our exhibitor offer and create simulations before registering your participation at the event. Book your stand now! A resounding success for 2017! 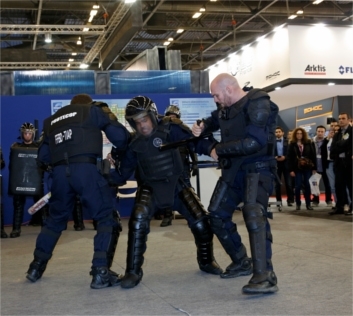 The 20th edition of Milipol Paris 2017 has been a great success with several records for attendance. Thank you to our exhibitors, visitors, delegations, partners and journalists for their participation! We look forward to seeing you at Milipol Paris 2019 from 19 to 22 November 2019. 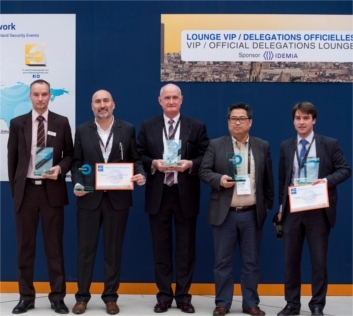 Discover the 2017 Milipol Innovation Awards Winners! 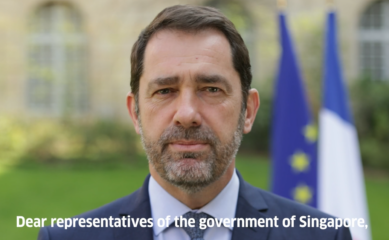 This competition was designed to reward the most innovative exhibitors in the following categories: Cybersecurity / Safe and Smart Cities / Individual Equipment, First Responder Protection / Drone & Anti-Drone Systems, Robotics / Crisis Management. The Milipol Paris 2017 interactive floor plan is online! 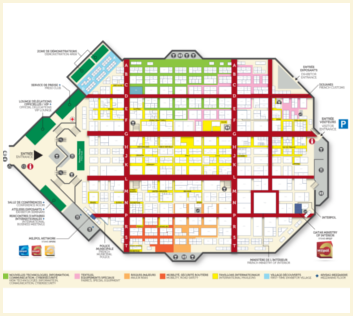 Navigate in the Hall 6 through the exhibition: discover the dedicated zones (conference room, exhibitor seminars, demonstration areas) ; click on stands to identify the exhibitors ; locate useful services onsite (catering, cloakroom, etc.). The finalists of the Milipol Innovation Awards 2017, a competition reserved for the exhibitors and designed to reward the most innovative companies in the security industry, have been unveiled! 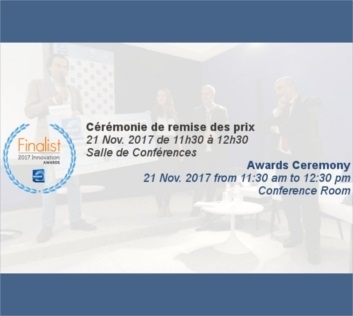 The Awards Ceremony will take place during the exhibition on Tuesday 21 November from 11:30am in the conference room. The Milipol Qatar 2017 Mobile Application is available on stores (iOS, Android and Windows phone)! It's a Must Have for your visit which enables you to access a large range of information within a click to prepare your visit of the event. You can download it now for free! Several specific areas within Milipol Paris 2017 will be dedicated to exhibitor seminars and exhibitor or drone demonstrations. Accessible for everyone, these events are a fantastic opportunity for exhibitors to present their company and activities ; and a fantastic opportunity for visitors to discover lively many innovations and services.